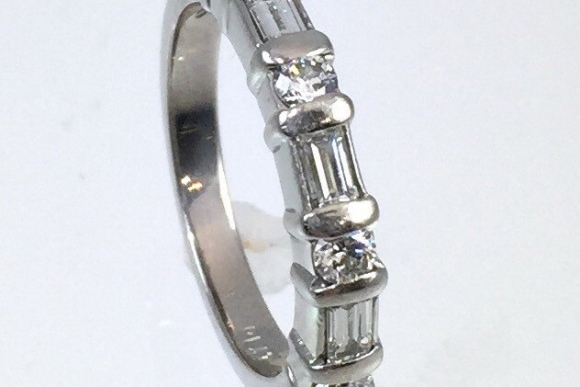 This exquisite diamond band has understated elegance! 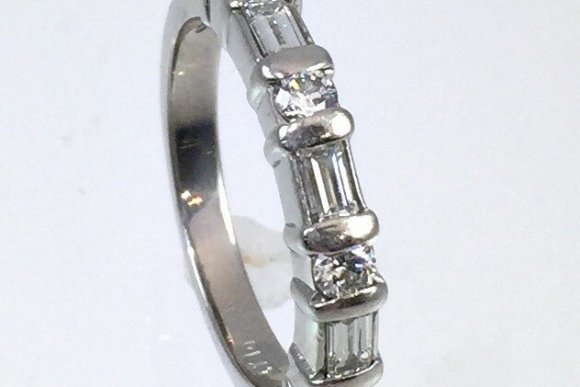 Bar set in platinum with a combination of round brilliant and baguette cut diamonds the band has a total weight of .80 carat. 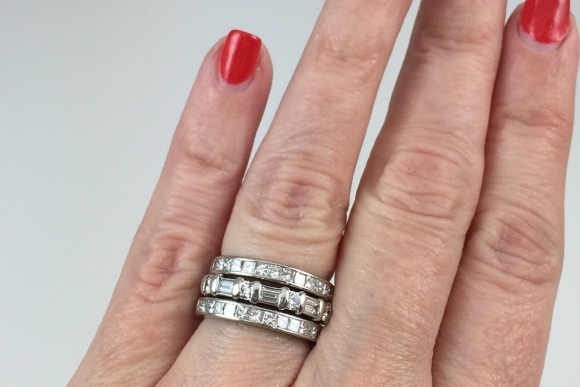 The clarity grade of the diamonds is VS1 and the color grade is F. This band is an ideal alternative engagement ring, wedding band, or anniversary band. 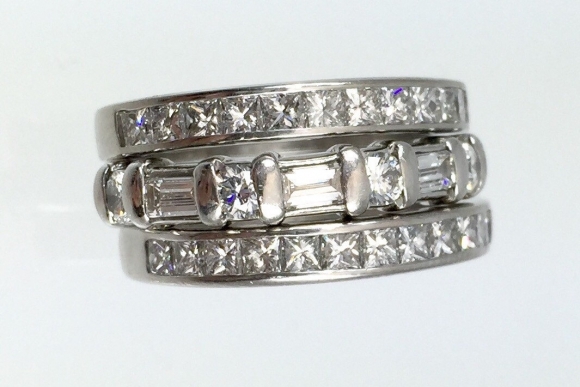 Pair with matching bands to create a wide diamond band look. This sale is for the bar set diamond band only. The anniversary bands shown in pictures #2 and 3 are not included in this sale. The band is a size 5 3/4. 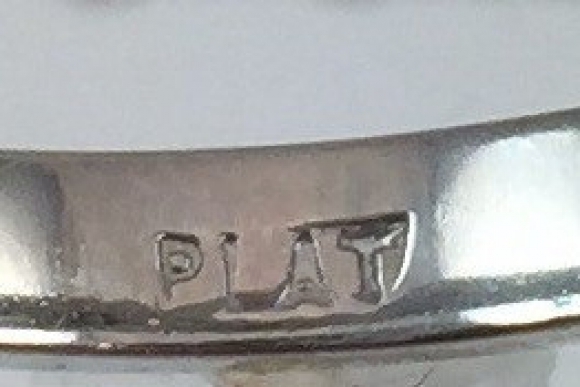 The width of the band is 3.5mm. Very good condition.